It is one of the most important training commands your dog will ever know, yet it is often one of the most overlooked. Every dog owner would love to own a dog that comes flying towards them, despite mingling with other canines at the dog park or sniffing some "pee mail" on the lamp post. Most importantly, a bomb-proof recall can also be a life saver, should your dog head towards a road filled with traffic or another dog that is clearly not displaying amicable intents. But what can you do if Rover gives you a deaf ear and cares less about hearing his name? How can you magically draw your dog to you like a magnet once and for all? Is this something only reserved to the pros or can all simple humans have a taste of what it feels to call your dog and have him prick his ears and run towards you like if you are best thing happening on earth? 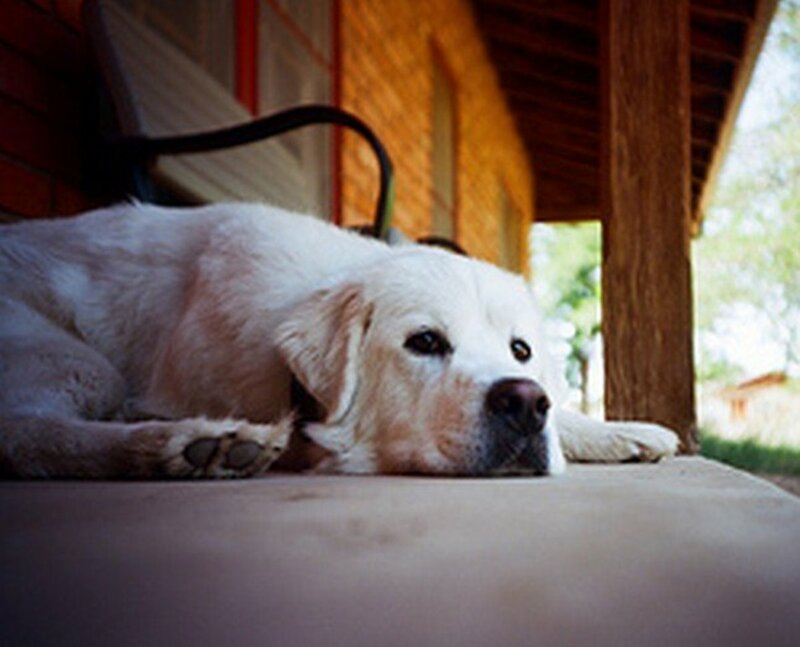 Common causes dogs not to listen to their owners calling them in the first place. How to protect your recall and prevent it from becoming a poisoned cue. So what causes Rover to act as if he never heard his name before? Why is he oblivious to the recall, and most importantly, why is he totally ignoring you as if you are irrelevant as an electric pole? There are many considerations to keep in mind, and they are not totally your fault. Let's take a look at some. What is your dog exactly doing when he is being called? Is he playing with other dogs? Is he sniffing a spot in the grass? Is he rolling in the grass? Is he eating some cow poop? Carefully evaluate what may be going on in your dog's mind. If your dog is left at home all day long in a boring environment, it is not surprising for him to undergo multi-sensorial overload due to the exhilarating sensation of being let outdoors. In such a case, surrounding stimuli are particularly salient to him, making all other things appear dull. Your dog may have lots of energy to get rid of, which may override your recall. 2. Did you Train Your Dog the Cue? If your children call your dog by saying "Rover come! ", your wife says "over here" and you simply whistle, your dog may be quite confused. Make sure your whole family uses the same recall cue and that you stick with it. Dogs thrive with consistency and this same rule applies to all the other commands your dog knows. You cannot use the cue "down" for telling the dog to get off the couch, to stop him from jumping and for making him lie down! Make sure you make clear rules and use them consistently. 3. Are You Repeating Yourself? Some dogs may decide not to come the first time you call them, but the second time around they will. An important question to ask yourself is: are you a dog owner suffering from broken-record syndrome? If so, the following cliche' may sound all too familiar. You call your dog, "Rover Come"!, after a split second, "Rover Come"! and a split second later " Rover Come!" At the third recall, you can almost hear Rover saying as he comes toward you: "Yes, boss, here I am, I was just waiting for you to finish the sentence!" If you tend to repeat your commands several times in a row, the cue to a dog's ears is no longer "Rover come", but "Rover come, Rover come, Rover come". Try not to repeat your commands; if your dog does not come after your first cue, go and get him or even better, have him chase you. Most dogs can't resist a good chase. Just avoid repeating and risking your dog not listening to you. As animal behaviorist and veterinarian Dr. Sophia Yin claims " quell that irresistible urge to blabber his name and the cue repeatedly". With dog noses equipped with more than 220 million olfactory receptors (humans have just 5 million), eyes ready to capture the slightest movements, and ears capable of hearing frequencies in the ultrasonic range, it is quite normal for dogs to be distracted, especially when taken outdoors. If your presence is quite boring and you fail to make yourself more interesting than anything else surrounding you, your dog may not find you worthy of his attention. If you recently adopted a dog, or did not have time to allow a bond to bloom, your dog may find other stimuli around you more interesting. So how do your make yourself more interesting than a pile of poop, another dog's bum or that jack rabbit inviting your dog to a game a chase? We will see some strategies in the next sections below. 5) Are you Punishing Your Dog for Not Coming? One of the best ways to ruin the best recall is to punish your dog or do something unpleasant when your dog comes when called. The cliche' is not uncommon, a dog owner at the park calls his dog, the dog is a bit slow and the owner gets extra angry. Do you think the dog feels motivated to coming to an owner that looks angry? Very likely not. How would you feel if your boss repeatedly calls you on the phone in an angry voice and tells you to come to his office immediately? Very likely, you will not look to phone calls from your boss over time! Imagine instead if your boss calls you on the phone often to announce you have received a pay raise or a bonus? Very likely you would be running to his office! As a general rule of thumb, avoid using your dog's recall command when you are mad or your dog has to do immediately do something he does not like. So, if say, your dog hates baths, nail trims, or getting its ears cleaned, calling him and immediately engaging in such activities will be cause the recall to achieve a bad stigma. You call your dog to you when mad or frustrated. You call your dog for unpleasant things (these are subjective and vary from dog to dog) such as tramming nails, going home from park, giving pills. You call your untrained dog when off leash where you have little control and set your dog for failure. You walk towards your dog or chase him and your dog feels compelled to playing "keep away". You advance too fast in training and your dog learn to ignore your recall because he is over the threshold from more interesting stimuli to attend to. 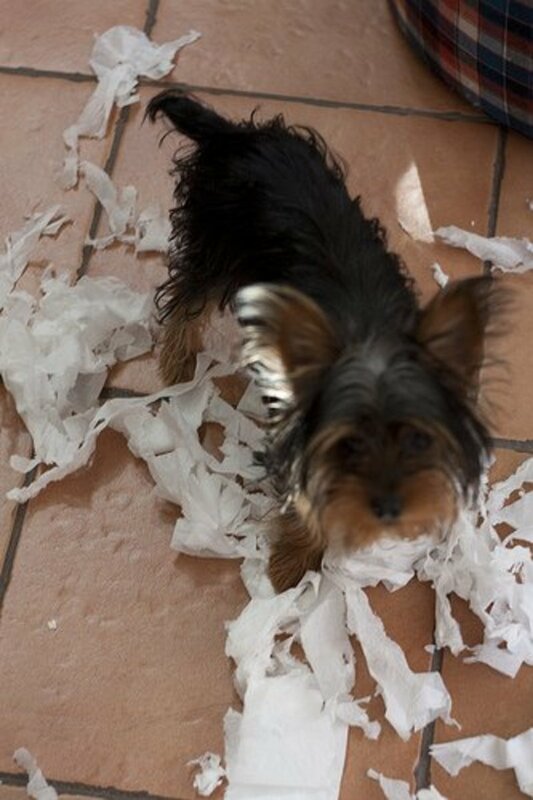 Ask a recall when your dog is not distracted especially during the initial stages of learning. Choose the cue to use and stick with it. Make sure everybody in your family uses the same exact cue. Try to say the command only once. Make yourself super interesting. This entails calling your dog in a silly tone of voice, running away, clapping hands, don't be shy; the best trained dogs have the silliest owners! Make great things happen when you call your dog and he comes to you. Don't be stingy: feed several treats in a row to make quite an impact. This is one command in dog training you should never underestimate and take for granted. 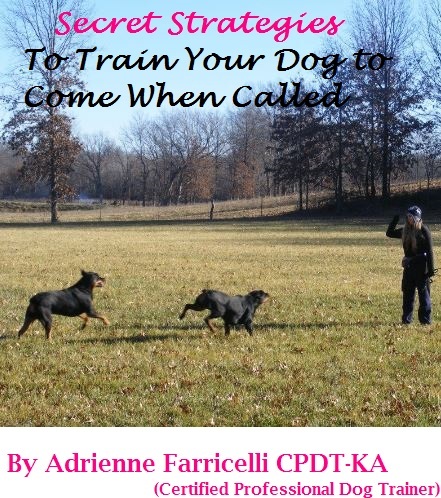 Training a dog to come when called does not happen overnight, rather, it takes several sessions and lots of proofing in different environments. It is very important to start in a neutral environment and build from there. It would be setting a dog to fail asking an untrained dog a recall at the dog park with dogs darting around or on a road with kids on bikes. The very first step is training your dog to pay attention to you. How can you realistically train your dog a recall if your dog does not pay attention to you from the get-go? You need to make yourself interesting and worthy of attention before proceeding to recall training. Say your dog's name and immediately give a treat. Repeat, repeat, repeat. Dog name, treat, name, treat, name, treat, name, treat. Do it until upon making the saying your dog's name, your dog starts looking for the treat. Your dog's name has to be music to your dog's ears! Now say the name and bring the treat at eye level. The moment your dog makes eye contact, even for a split second, say "yes, or good boy" and give the treat. Repeat, repeat ,repeat. This needs to become almost a reflexive response to your verbal cue. Add duration. Ask gradually longer and longer eye contact by delaying treat delivery. This means you say name, keep the treat at eye level, wait for eye contact, and keep the treat there for a few extra seconds so your dog maintains eye contact for an increasingly longer time. Add distractions. Start asking eye contact in increasingly distracting areas. Go gradually, if your dog does not respond, it may be too hard for him, take a few steps back and practice more in less distracting areas. Take your dog in a neutral area while your dog is on a long line. Keep the long line short at first and practice a recall when your dog is not actively sniffing or distracted. Whatever your cue is, say it in a fun tone of voice and as you say it walk away, clapping your hands. Rover, come! When your dog comes close, crouch down, hold your dog's collar for a second and give a treat. Once the dog is done eating, release the collar. Let's understand a few of these steps. Why must you walk away? Because walking away encourages your dog to come to you. Applied animal behaviorist and dog trainer Patricia McConnell, in the book "The Other End of the Leash" explains that the best way to get a dog to come to you is by turning away from him in the opposite direction. If you are calling your dog and moving towards your dog your voice is saying "come over here" while your body is saying "stay there." Indeed, dogs use body blocks a lot, just think how a herding dog keeps sheep from moving forward by placing their body in their direction. If you move yourself in your dog's space even just by bending your body forward, from a dog's perspective you may be stopping your dog him its tracks; the total opposite of a recall! By moving your body away you are, therefore, encouraging your dog to follow you. If you watch dogs playing, you will notice dogs encourage chasing by moving away. Clapping your hands attracts your dog, making you much more interesting and salient, you really need to stick out from other distractions around you. As your dog starts following you, you can say "good girl!" crouch down, take the collar and deliver the treat. The reason why the collar grabbing is incorporated in this exercise is to prevent collar sensitivity. 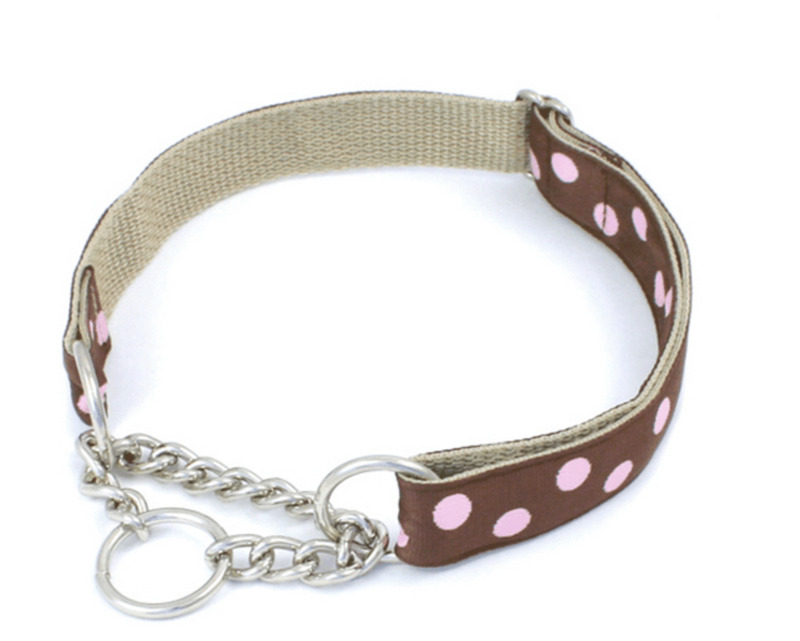 A great amount of dogs dislike being grabbed by the collar, and by grabbing the collar and delivering a treat, your dog will learn to associate collar grabs with treats. If your dog is ever in peril, you may need to grab that collar quickly and you want your dog to comply and not slip away, or worse bite. Indeed, according to Dog Star Daily " 20 percent of dog bites occur when a dog owner grabs a dog by the scruff or collar". *Note: you may substitute the treat with a toy or a game of tug if your dog is toy motivated. As your dog gets good at the exercise, try to make the long line longer and practice on increasingly farther locations. Then, you can start adding distractions, but go slow. Work on a quiet road, then in the park when there are no many people around, then with toys around, other people, kids playing with a ball at a distance, other dogs at a distance and so forth. Remember: if your dog is too distracted, it may be too hard for him, take a few steps back and work from there. Dogs are not generally good at generalizing behaviors, therefore, make sure you ask your recall in different places, different times of the day, different distractions.The more you practice, the more reliable the behavior. If you take your dog at the dog park or if your dog has romps with a few play buddies every once in a while, it is important to learn how to call your dog when it is time to leave. Call your dog at the park, have him sit, snap the leash on, give a treat and then unsnap the leash only to release him to go play again. If you do this often, your dog will never know when your recall is for leaving or going to play. When you really need to leave, snap the leash on and play with your dog using a tug toy or give a jackpot of treats. Make yourself much more interesting than all the other dogs there! Recalls have to be fun and you must be more interesting than anything else! It is up to you to accomplish this! Make it a habit of always reinforcing any time your dog comes to see you even if you did not call your dog. Say your dog is in the yard with you and while you are sitting, he leaves the grassy area and "checks in" with you; this is a great opportunity to capture the behavior, praise and give some affection and treats (always cary treats in a pocket or treat pouch). If your dog comes to you, but then gets distracted mid-way and veers away from you, try to prevent it by keeping your dog's attention to you lively by running away and encouraging him to catch up with you. Reserve special high value rewards specifically for training recalls. So-so treats, yield so-so results. If possible, choose a variety of treats to surprise your dog. Don't call your dog if you are uncertain your dog will come or just for the sake of testing it. The more you call your dog when he is distracted and fails to come, the more your dog will learn to ignore it, the best way to burn your recall! So if you think your dog won't come when called don't call him! Rather, go get him, run away, make funny noises, invite him to chase you, squeeze a squeaky toy! Take advantage if your dog is looking at you. If you have trained a good recall, and your dog is eager to come when called, you'll see him sometimes looking at you in hopes of you calling him, takes advantage of this and call him! What if you call your dog and he does not come to you at all? In this case, you should avoid repeating the command over and over again. Rather, if you can, go and get your dog but don't chase him or you may invent a fun game of keepaway! A great option is to run away or leave the area, hoping he will follow you. Feed treats when he catches up with you! If your dog has a history of not coming to you and you really want to polish the command, change it. Your dog will have an easier time learning a new command from scratch than hearing you repeat a command she has learned to ignore for a very long time. So if you used to call your dog saying "Rover come" change it the poisoned cue to "Rover here" so you can start from fresh. Because as humans, we tend to talk a lot, and pronounce a dog's name often, many dogs respond very well to a whistle. There are ultrasonic whistles that reach frequencies humans don't hear, whereas dogs hear them distinctly. While a dog can be taught to come when called, as with other training, this is something that requires time. A better bond between dog and dog owners plays an important role in training; this is something that takes time to build, but the results are everlasting and worthy the investment!. Make sure your dog's needs for exercise and mental stimulation are met before training recall. If you must call your dog for something unpleasant like say a bath, call him to you, do something pleasant and then once some time has elapsed do whatever you need to do (your ultimate goal though should be to work on making whatever your dog perceives unpleasant pleasant, ie your dog hates baths, work on making them fun). In order to train a good recall, your dog must have the opportunity to be off leash and/or on a long line. A dog on the leash all the time, will not learn a good recall, because it is always stuck to you. To train recall, try a fenced area or a long line; your dog needs to feel free to practice a reliable recall, and he must come to you willingly on free choice. If you reel your dog in towards you to make him come to you, he has learned nothing. According to Leslie Nelson, author of the RRR (Really Reliable Recall) training method, once you establish management -ensuring you set your dog up for success-, and a good relationship built on trust and cooperation, your training should be the easy part! 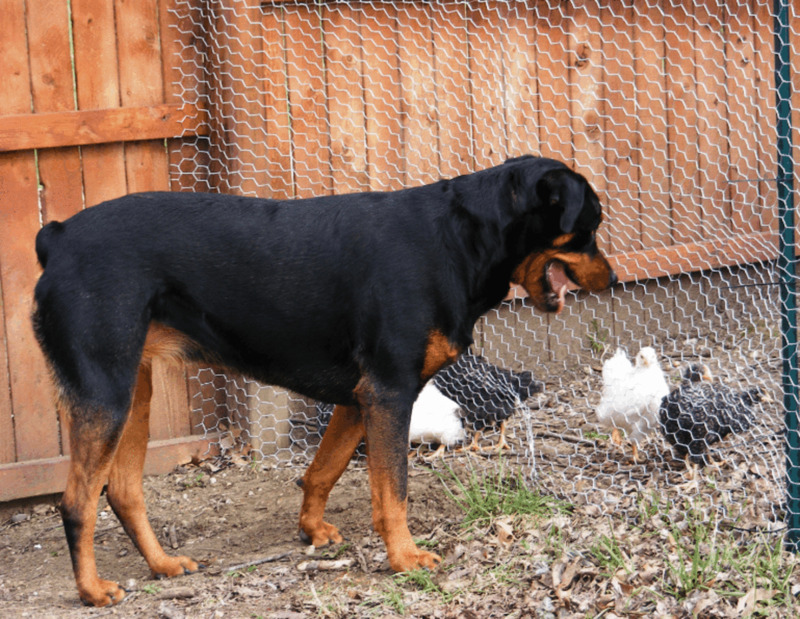 Take advantage of mealtime to call your dog when he's out in the yard. If your dog loves staying in the yard, don't call him right away in the morning. Give him some time to relieve himself, explore, sniff and detect changes that occurred in the night. When he seems to have done all that and seems to be getting bored, thirsty or hot, call him inside and reward lavishly. Have your family gather around your dog in a circle and take turns calling him. Make sure everybody praises and rewards! Have a helper crouch down and hold your puppy's collar while you move to the other side of the room, crouch down and call your puppy. 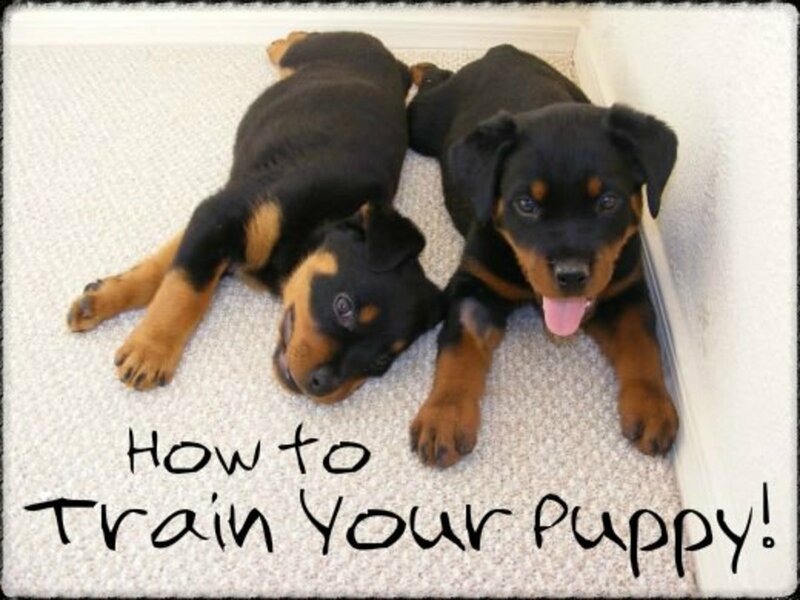 As you call your puppy, your puppy should build up some frustration since he is restrained from reaching you. When your handler feels the puppy is eager to go, he should let go of the collar so your puppy is delivered to you and you can praise and reward. Run away from your puppy and as she catches up, drop some treats. When your puppy is done eating, run away again and when she catches up again, drop more treats. Have a family member on the opposite side and take turn calling the dog back and forth, taking turns in praising and rewarding. Put your dog in stay, go hide and call your dog, this makes a fun game of hide and seek! When he finds you throw a party! If you like clicker training, you can train your dog a nice recall by kneeling down a few feet away and making all sorts of happy noises. The moment your puppy takes his first step in your direction, click and then deliver the treat when she catches up to you. Make a fun game out of it. Once your puppy come to you reliably add the cue 'Rover, come!' Build on distance, distractions and duration to add some challenges. It is a good idea to also train an emergency recall, a special cue different from the regular everyday cue to use in specific emergency scenarios. To teach this, pretend you are in a real emergency each time, and praise lavishly as if you have just saved your dog's life. Protect this special recall and practice it every once in a while. I'll be there in a moment mom, I am busy right now! Is a Perfect Recall Possible? As much as we would all love a perfect dog that ALWAYS comes when called, no questions asked, it is crucial to understand that a 100% perfect recall is not always possible. Just as humans, dogs have their good days and bad days and dogs are not robots that mechanically respond to cues with the perfection of a computer. Your dog may not have heard you well if it is windy or he may be not using his senses fully. There are some dog trainers that believe a dog cannot hear 100% when a great part of their brain is occupied in analyzing odors upon sniffing. While there are no studies on this, it does make sense as many dogs when they sniff appear to almost be in another world. Also, remember that training never ends. You will always need to proof and work on keeping your recall strong. It's one of those things that need to be freshened up. Keep in mind that every time you call your dog and he fails to come to you, you are weakening your recall, while every time he comes and you reward him generously, you are strengthening it. It's sort of like adding money or taking it away from a piggy bank. Keep your investment growing! Fun, exciting and rewarding, are three adjectives that define a reliable recall, make this a habit and you should be shortly on the way to dog that comes eagerly to you when called! The expert on reliable recall, Leslie Nelson! Most of the time, I am pretty satisfied! Another fun game then if your dog is of the clingy type, is to toss some treats to distract your dog (or have a helper hold him if he doesn't' mind) while you immediately hide somewhere easy and then you call your dog (by name or whistle) and reward him with some treats for finding you. This can can hopefully help him learn how rewarding it can be to come when called as he's re-united with you and gets bonus treats on top of that! In my opinion, coming to me on command is probably the toughest one overcome. That "leave a message and I'll get back to you later" attitude drives me nuts. Great article. Hope it helps your lovely dog. best wishes! The hub I was looking for. Very informative indeed. I will use it in my training. Thank you for taking your time to comment on my training your dog to come when called article. 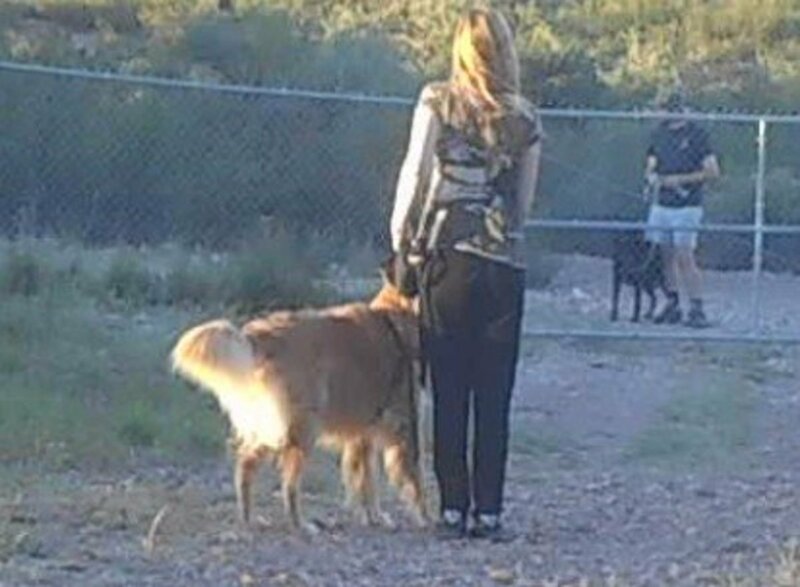 Because prey animals attract dogs so much and thus movement, is why dog trainers such as Leslie Nelson focus so much on calling your dog while moving away and doing as much as possible to look more interesting than anything else. It takes lots of practice under distractions to achieve levels taught in her courses, but committed dog owners are those that see results! I love this. My youngest dog hears me cause if i am close enough, I will see her eyes veer away from whatever she is watching for a split second. But if she is sitting watching a squirrel or bird, it entrances her. In the evening, sometimes she will sniff every inch of the ground before she gets on the porch. She has taught me patience! The brother and sister on the other hand are more obedient.